A lot of people regard their professional life as a 'different' life than their private life. But don't we all have one life? Of which work is an integral part? 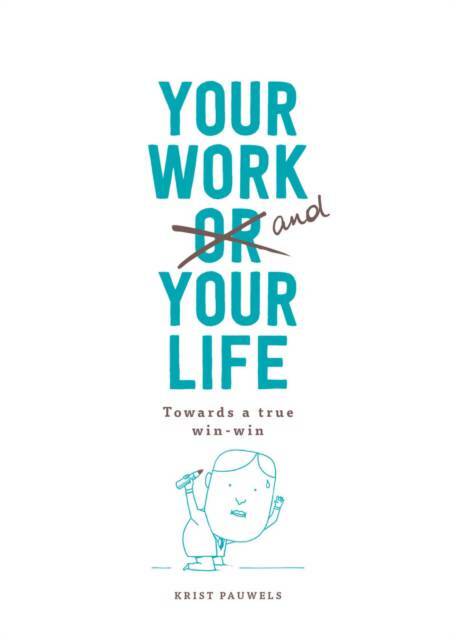 This book shows you how you can use your full potential and that of your (work) environment in three easy steps. In accordance with the Ego to We-go principle, it illustrates how you can be the same person in both areas for 100% and can create a good work-life balance. In most areas of our life we derive our identity from the labels others give us. This is why the left side of our brain has become very dominant while the right side of the brain tends not to be so prominent. We can consider this reality as 'above the table' and 'under the table'. Above the table we experience the rational reality in which you fulfill a specific role. 'Under the table' is a hidden reality of emotions, intuitions and beliefs. They don't channel their way to the rational reality, but are key to how we feel and our well-being. We do not seek this hidden reality. Conversely, we put a lot of energy into ignoring and avoiding a confrontation with it. When people consciously start using their hidden reality, seeing it and sharing it, it immediately changes the work situation. We can use this to get more out of our life and work and to tap into new energy and creativity again and again. You are happier, are able to work together better and you can get more out of situations you find yourself in. Krist Pauwels is co-founder and partner at Choco, a communications agency specializing in publicity, DNA work, and internal and external communication.